The Digital Sanborn Maps of Milwaukee 1894 & 1910 are two fire insurance atlases featuring detailed color maps of Milwaukee. Produced by the Sanborn Map Company, the 1894 atlas includes four volumes, consisting of 450 map sheets and the 1910 atlas includes eight volumes, consisting of 830 map sheets. 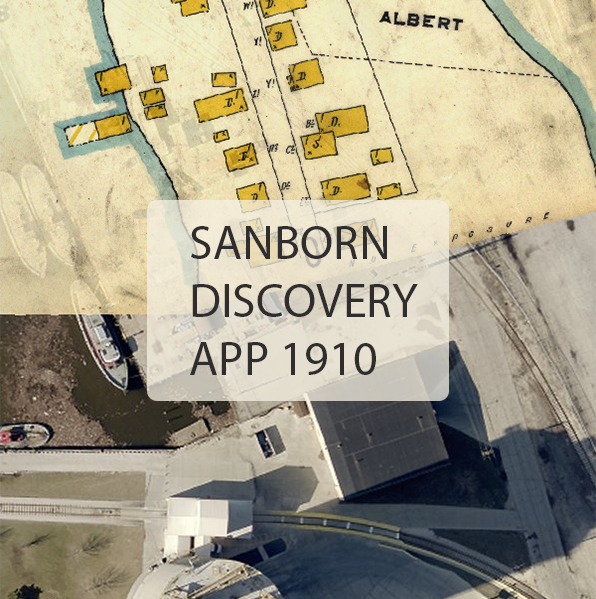 Sanborn maps were designed to assist fire insurance agents with insuring property. Produced for over 12,000 urbanized areas in the United States, Sanborn maps have been described by the Library of Congress as "the single most important record of urban growth and development in the United States during the past one hundred years." Some features found on Sanborn fire insurance maps include: construction material of dwellings, commercial buildings, and factories, fire walls, windows, doors, style and composition of roofs, wall thickness, cracks in exterior walls, elevator locations, building uses, sidewalk and street widths, layout and ownership names, property boundaries, distance between buildings, house and block numbers, location of water mains, hydrants, piping, wells, cisterns, and fuel storage tanks.